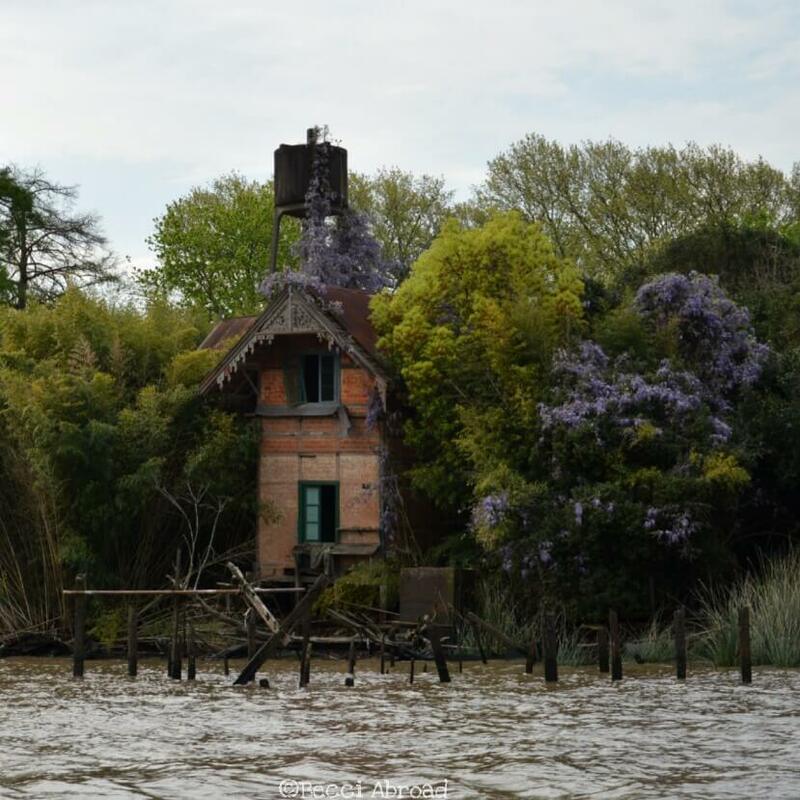 Are you looking for a relaxing get-away from Buenos Aires? 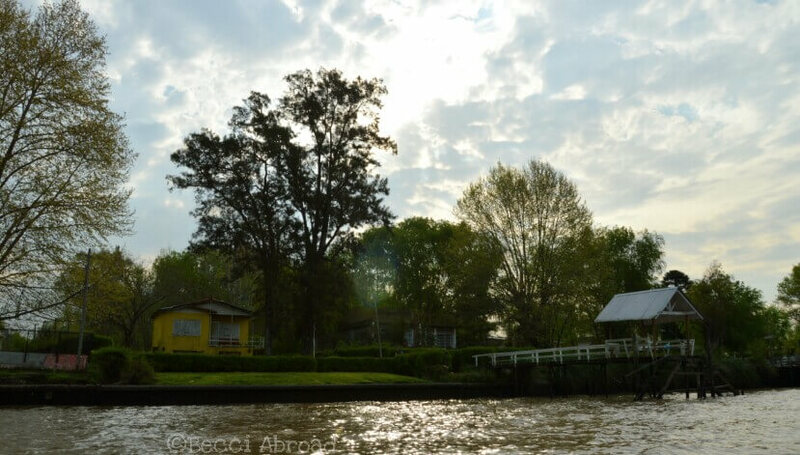 Take a day trip to the Tigre Delta, and enjoy the slow-downed atmosphere with wooden boats on the river, beautiful old mansions by the river bay, and sunsets through treetops. The Tigre Delta is located by the town of the same name, Tigre, in the Province of Buenos Aires just North of the city of Buenos Aires. 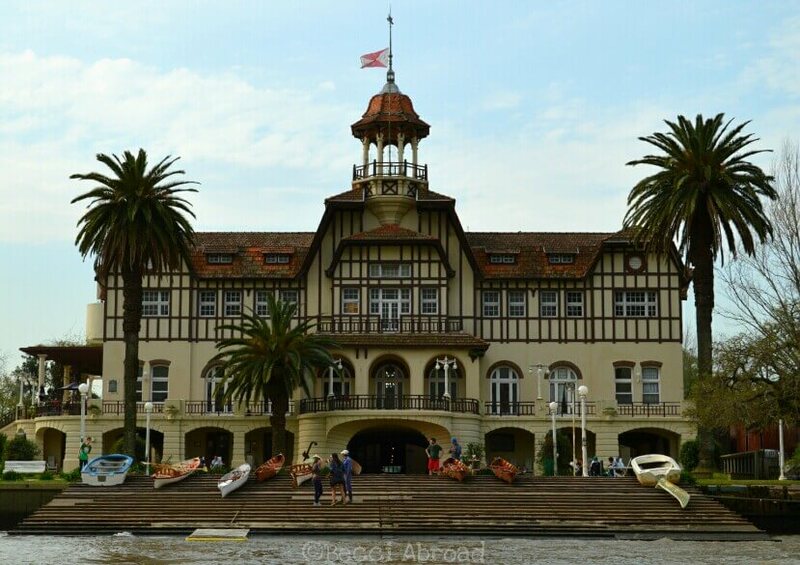 Tigre can easily be reached by train from the city center, which makes it a perfect destination for relaxing a day trip from Buenos Aires. 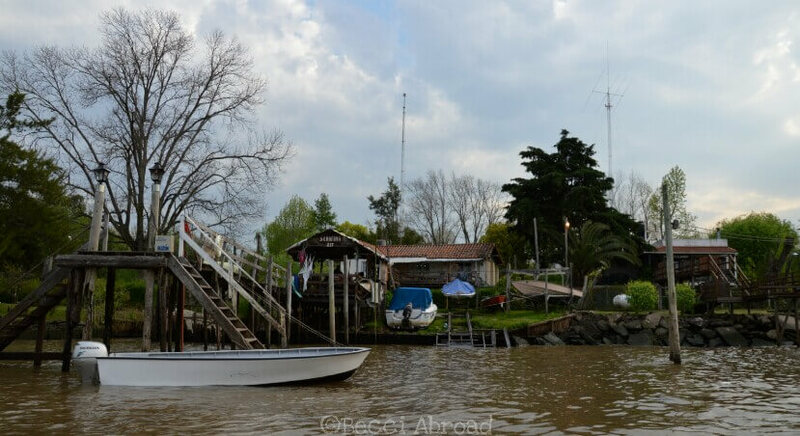 Read more about Tigre and how to get there here. Even though, I love the vibrant cosmopolitan life of Buenos Aires. Sometimes, it just gets too much, and then it is good to have a little get-away to relax from the hustle and bustle of traffic and people everywhere at any time. Do you know that feeling? Sometimes, it is just nice to get out and to get away. Why not slow down and to enjoy the quietness of a smaller village in beautiful surroundings? 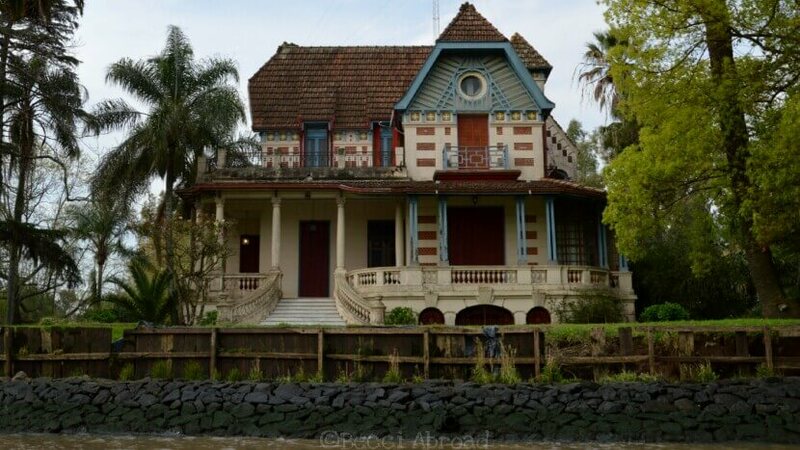 The town of Tigre is located in a huge delta area just 35 km up north from the city center of Buenos Aires. 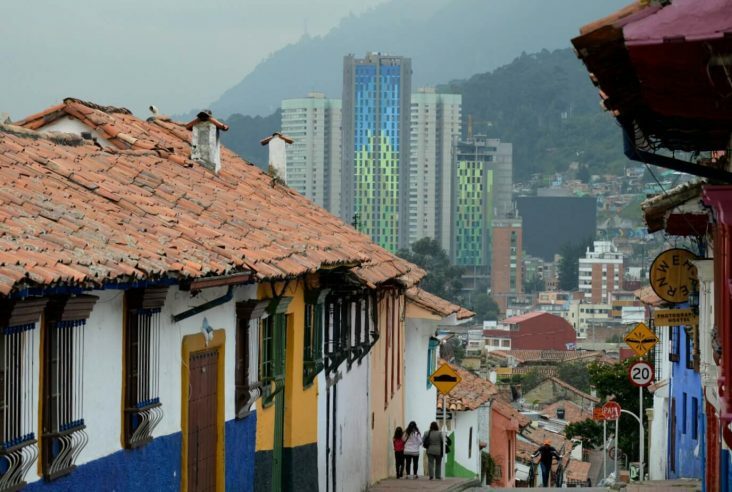 It is a popular place for tourist and locals alike to take a break, and stress down. 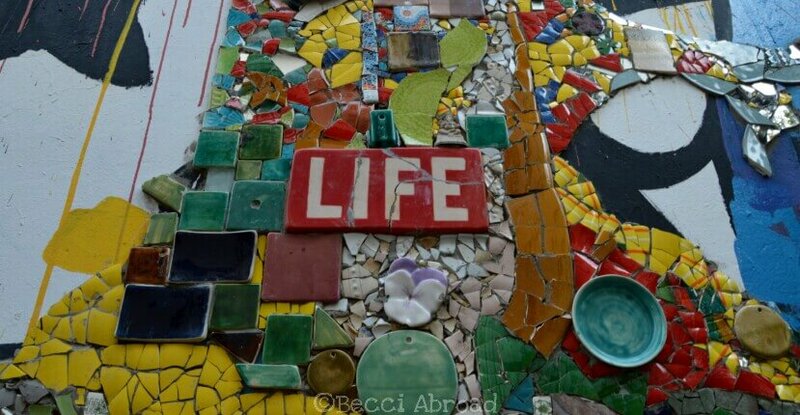 Thus, there are many different things to do in Tigre. 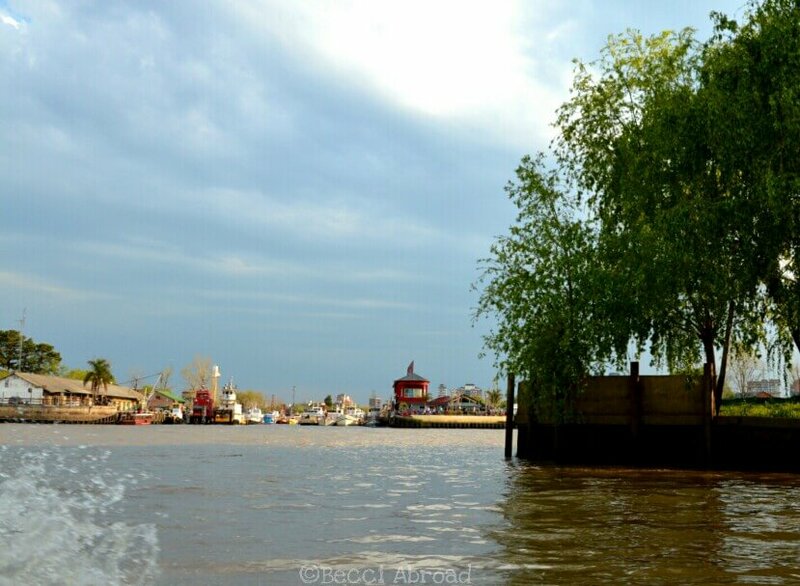 The rivers of the delta invite for all kind of water sports and boat rides, and the town of Tigre offers different possibilities for shopping and eating out. 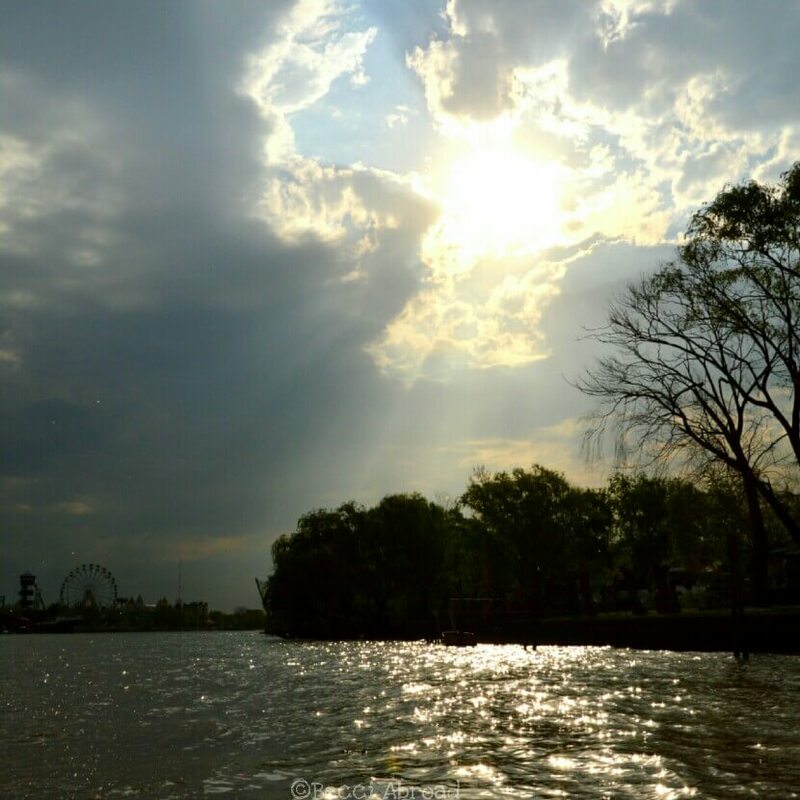 One of the biggest pluses is the Tigre is located within an hour away from the city center of Buenos Aires – by public transportation! That is a rare luxury in South America, so rather enjoy this one! The most popular and completely anti-stress activity is to take a boat ride. 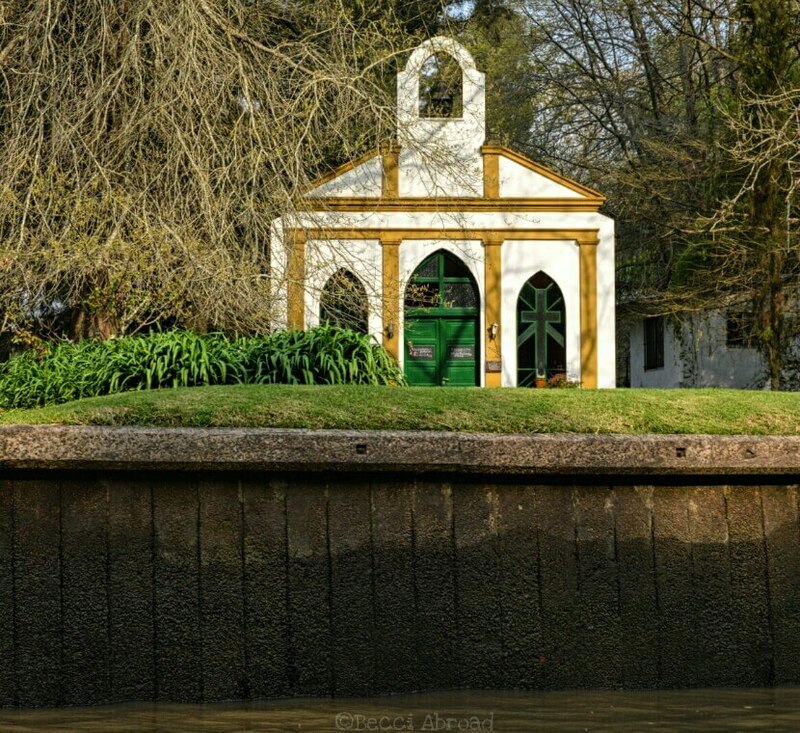 Apart from the peaceful speed of the boat through the water and the nature of the area, on the ride, you will be able to enjoy some of the beautiful houses and mansions building along the river. On the dock located just a few meters from the train station, several different tour companies offer tours on the delta of a different amount of time. When I went with a friend of mine, we just opt for one of the shorter rides of 1 hours ride in a small wooden boat with around 10 others. The cost was 100 pesos per person. Another time, I went with my mother on a “nature tour” where you embarked on one of the small islands in the Tigre Delta. It was okay but nothing really special. 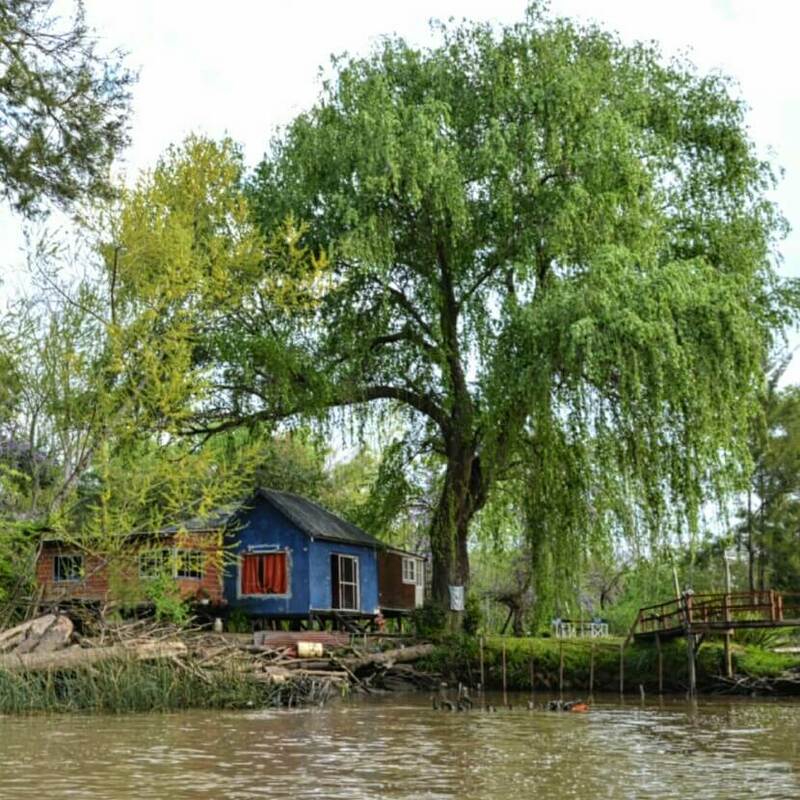 Thus, nature is beautiful in the Delta, I think I’m more on enjoying the slow speed of the boat and looking at the beautiful houses like this one in the picture below. 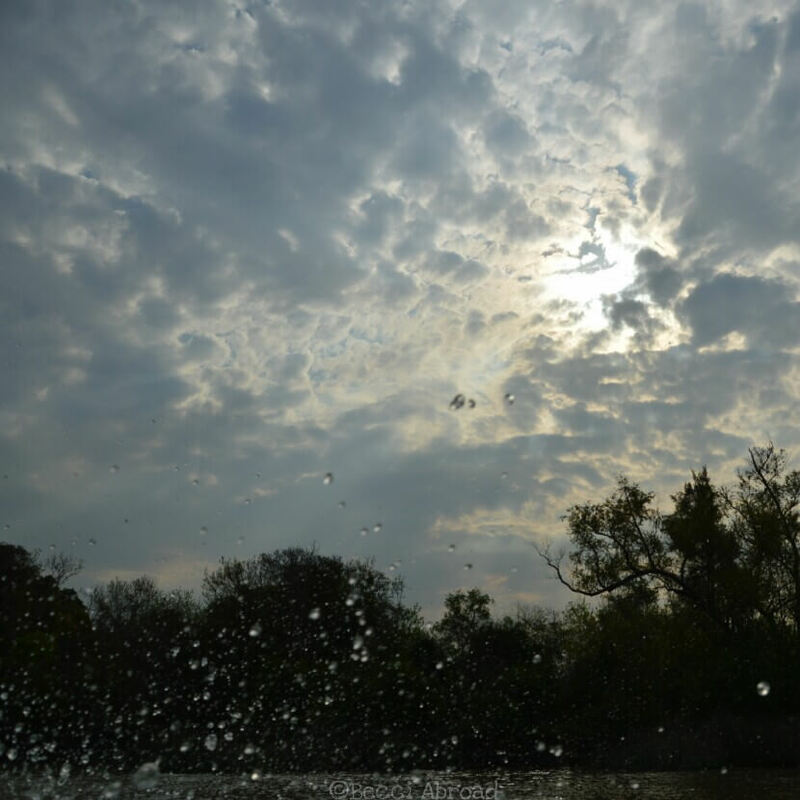 But then again… Who can resist the settings of a boat ride and the sun slowly crawling down behind the trees and creating this amazing light with the clouds? 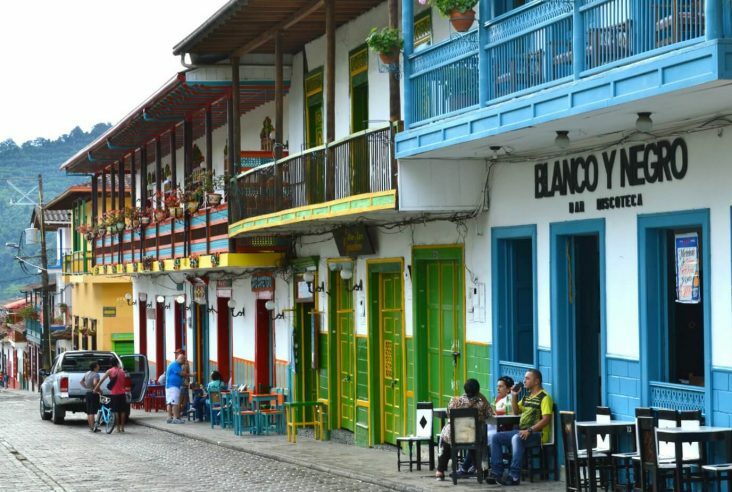 Lastly, as mentioned above, in the town of Tigre there are plenty of possibilities for shopping and buying souvenirs. BUT Tigre also has an incredible street art area, which you can read more about here. 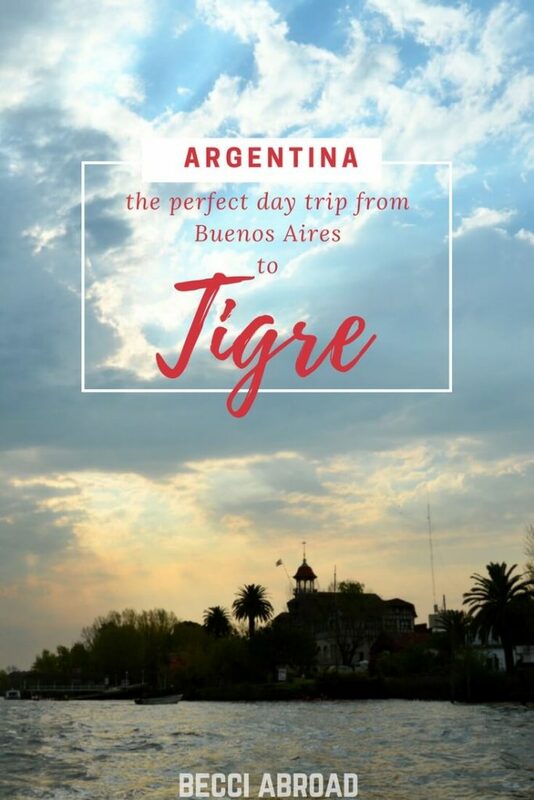 How to get to Tigre from Buenos Aires? 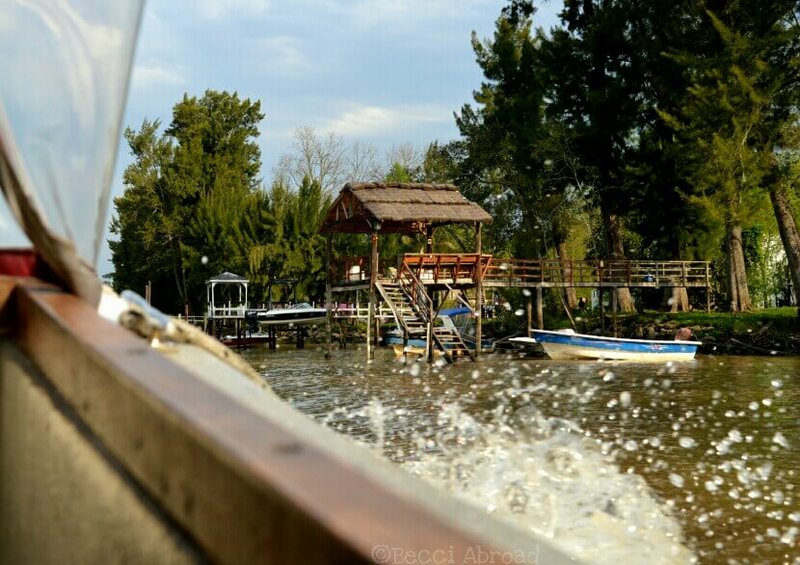 With public transportation, it only takes around an hour to get to Tigre, and it is so easy that it is almost impossible to believe it! 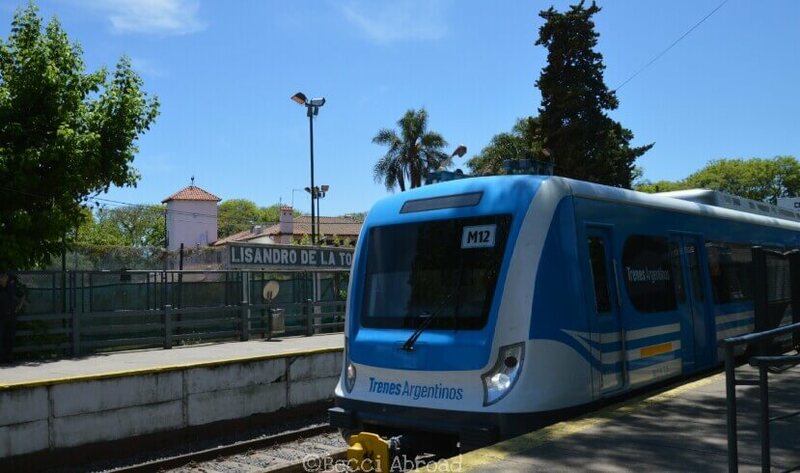 From Retiro station in the center of Buenos Aires, you catch one of the blue provincial trains in direction of Tigre! Board the train by using the SUBE transportation card (the same as you use for the Subte and buses in Buenos Aires). The train to Tigre also stops at other central spots in Buenos Aires City such as Lisandro de la Torre and Belgrano C just by barrio Chino, which might be easier to get to if you are staying in Palermo or Belgrano – check Google Maps or Como Llego-app for a trip planner. Enjoyed the post? Share the love, pin me! Wow, it must have been a very special experience to visit Argentina in 2001! How funny that Tigre wasn’t “a tourist attraction” back then, today it for sure has turned into one – both for locals and foreigners! There are so many different tour companies offering routes on the delta. Oh, what a pitty that it was raining when you went there. Maybe you will be able to go another time 😉 Did you get a chance to see some parts of the city?